This is the red that Americans love…deep enough, velvety enough, bright enough, long-lasting enough…it's just right. 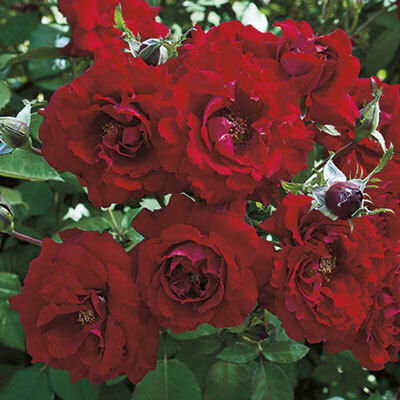 Better yet, that color comes in great clusters of ruffled flowers showing off against the backdrop of glossy dark red-green leaves with very good disease resistance. The bushy full plant could be used as a flowerful hedge, a showy mass planting or just by itself…a red beacon for the American garden. Cooler temps bring out the best flower form.